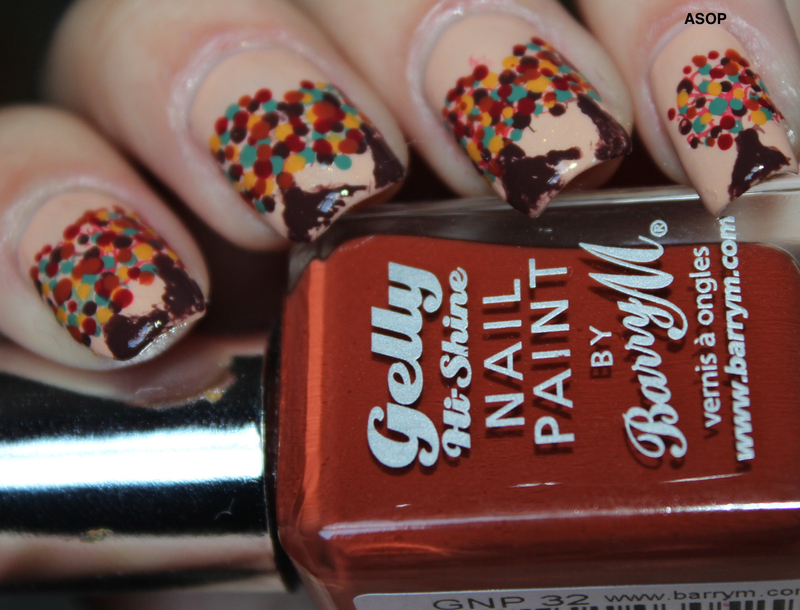 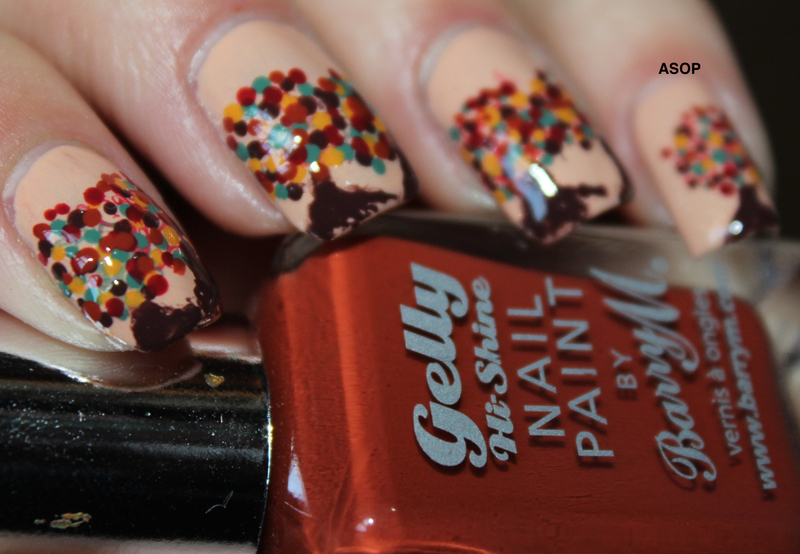 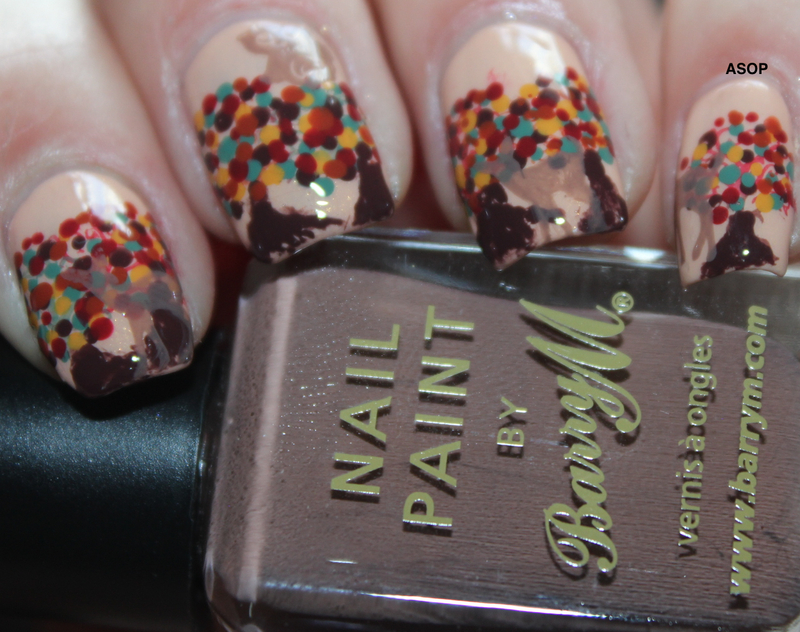 I did some dotty autumn trees, with a stamped owl and deers no each nail-the deers are a bit unnoticeable and subtle which I quite like, as deers are generally hiding in real life! 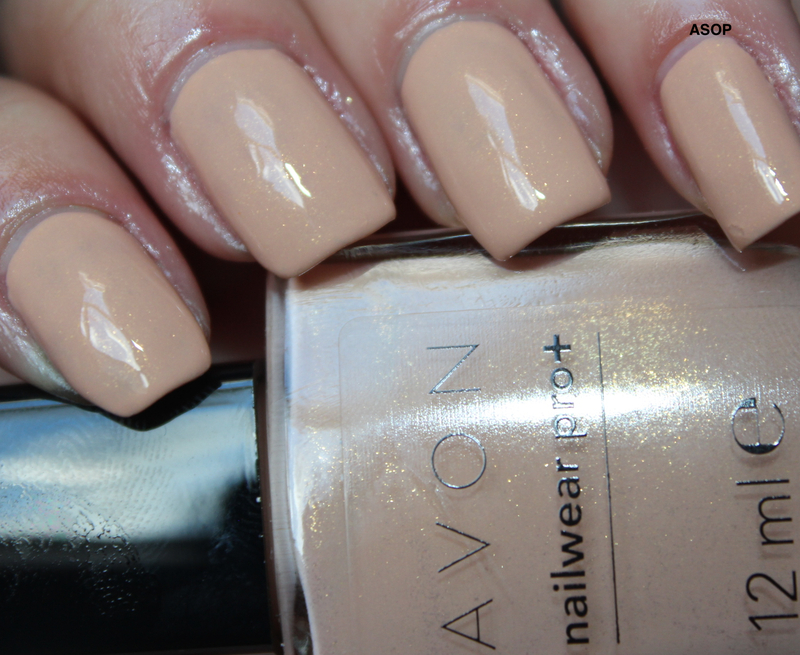 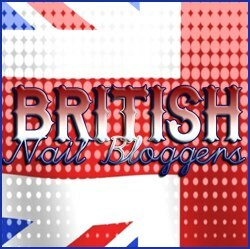 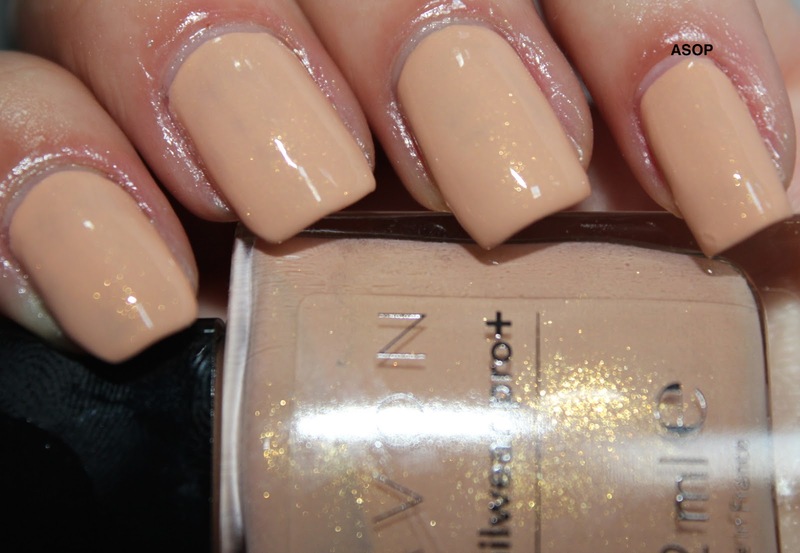 I started with three thin coats of Avon 'Well Being', I really like this polish; the beige colour and subtle gold shimmer is lovely and would be a polish I would wear for an interview. 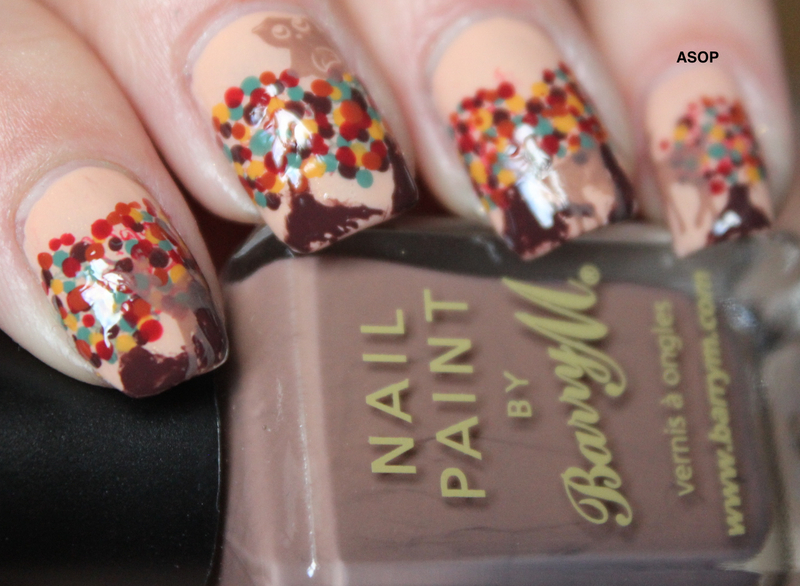 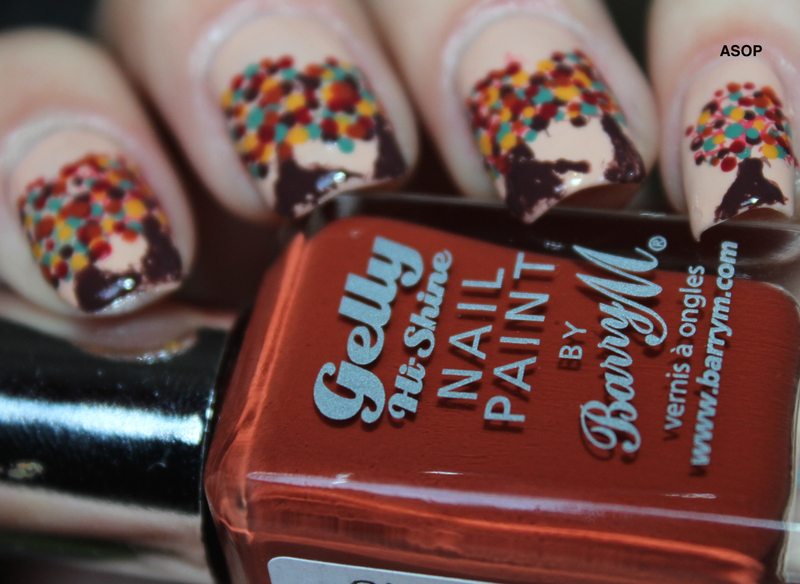 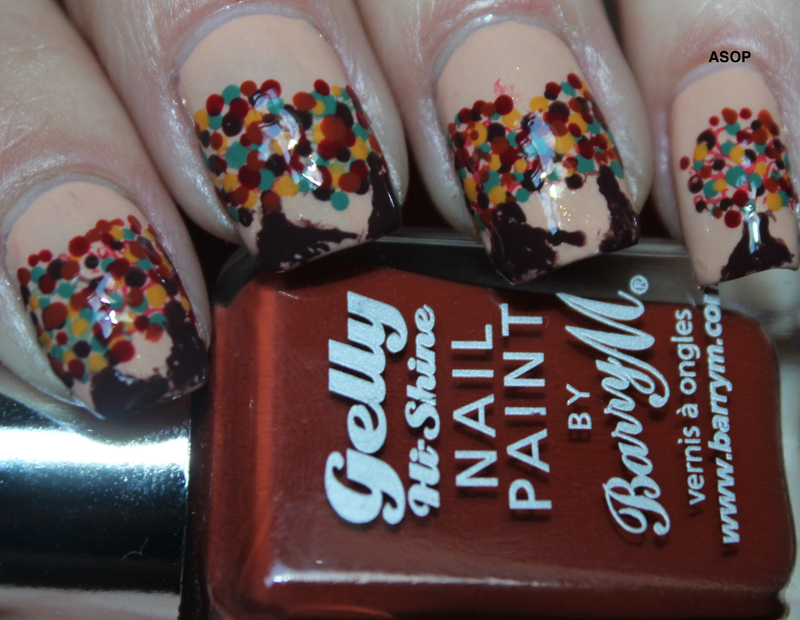 It gave nice coverage and needed three coats for full opacity and it dried even quicker than Barry M.
Once the base had completely dried, I then used a wooden toothpick and a number of the autumn 2014 Barry M Gelly Hi-Shine polishes, 'Chilli', 'Paprika', 'Cocoa', 'Cardamom' and 'Mustard'. 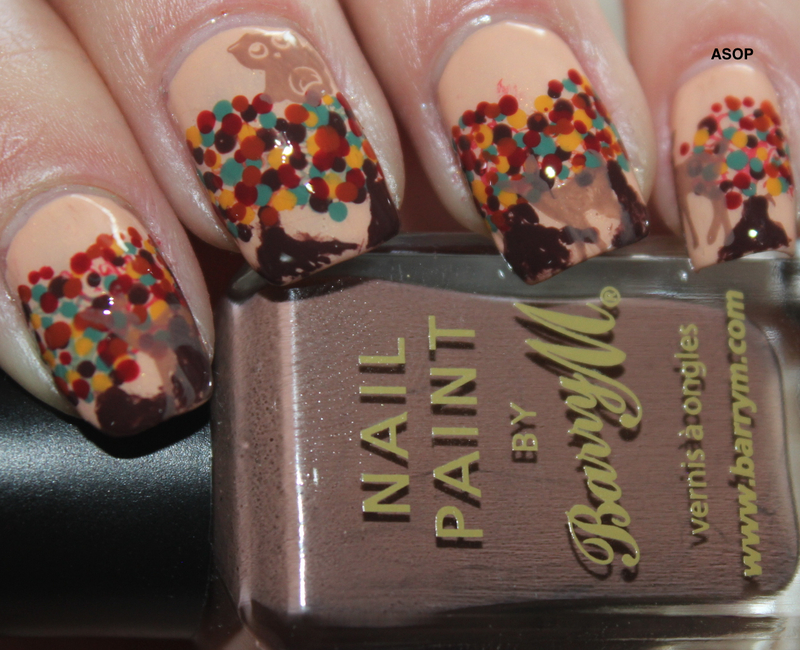 This was really quick and easy, I then used Cocoa to draw in the tree trunks. 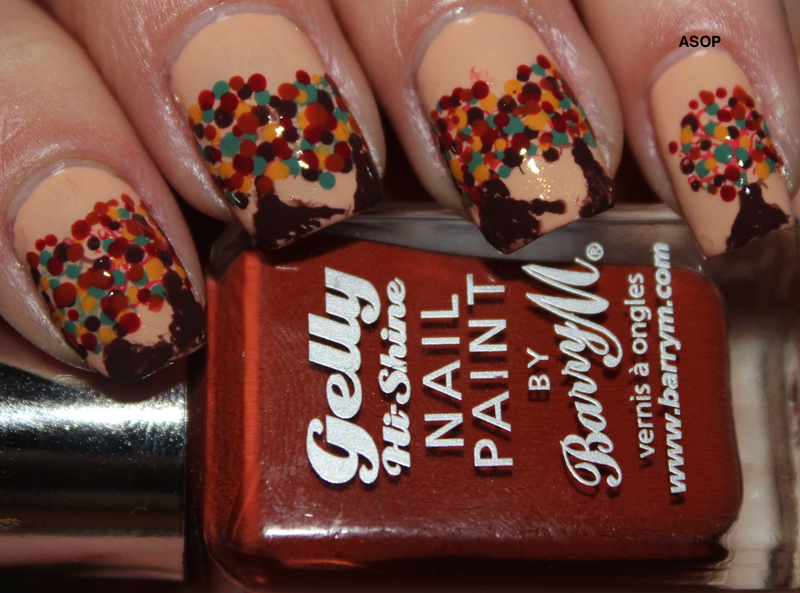 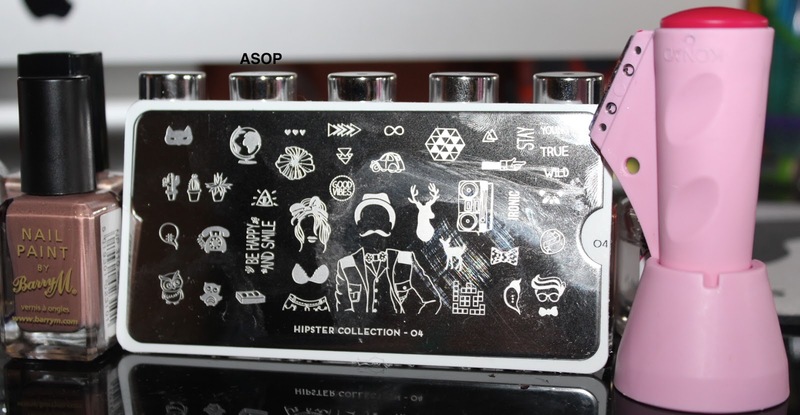 Lastly, I used MoYou London's Hipster 04 plate for the owl and the deer stamps and used Barry M 'Mushroom' to stamp them in place :), giving a more autumny nature feel.